Heavy load suspensibility and high safety. 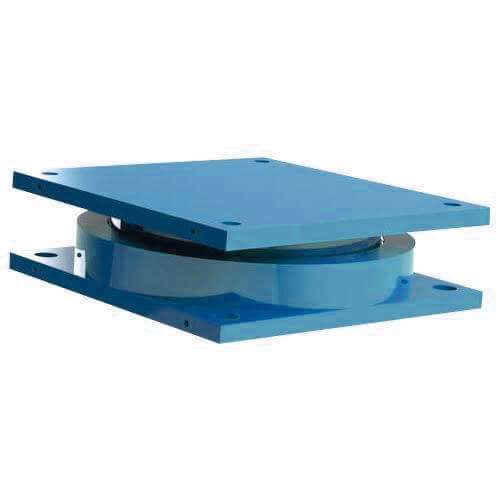 The main elements of our pot bearings is surface cylinder acknowledged as pit, an elastomeric pad regarded as disc as well as a set or single siding surfaces, piston and sealing rings. Base plates and masonry plates are normal for introduction of our bearings, as these permit association of bearings that enhance the reinforcement area on abutment and the pier. 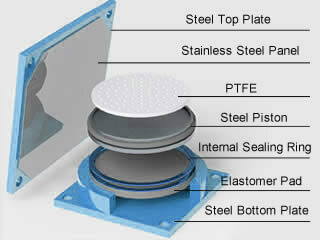 Our bearings are attached against every translation unless these are deployed with sliding surfaces of PTFE. Our pot bearings are produced deploying stainless steel pistons and structural carbon steel. Integrated sealing rings are made of brass that is the most imperative part of our bearings for their prolong services, which are compulsory system adhered by our company. In our bearings upright load was operated through bearings piston and is impaled by compressive pressure in elastomeric pad that is deformable yet mostly in compressible and also, idealized as be possessing hydro statically, however, in virtual exerts shear compression. These seals are provided on every bearing, impeding penetration of debris such as water, dirt, etc., that can harm brass sealing rings and elastomeric pad, offering substantial advantages. Our pot bearings are considered when bearing revolutions are huge, and long term serviceability and compact outlines are demanded. These offer prolonged working life and smaller size as contrasted to elastomeric bearings. These kinds of Pot bearings are generally optional when the bearing rotations are usually huge and large, also where there is a need of dense and compressed designs and also where long-time serviceability is needed and expected. These kind of Pot bearings generally offer an extended and long service life when they are compared along with the elastomeric bearings. 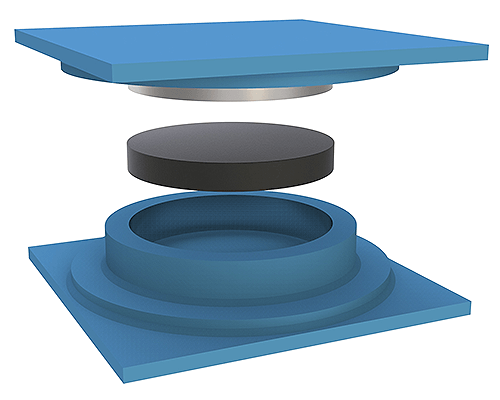 The Pot bearings are generally smaller in size when compared to the elastomeric bearings. They come with the feature of longer maintenance time which means they need repairs or maintenance post a good amount of usage. These kinds of Pot bearings can generally withstand and bear many kind of cycles of very small and very large rotations. They have inexpensive and reasonably priced repair as a replacement of elastomer disc only. These Pot bearings also do not get easily affected by the exterior atmospheric correction. Extra fixtures such as base plates, studs, PTFE sliding bearings, welded studs masonry plates, temporary bearings and more will be obtained for customers’ complete demands.